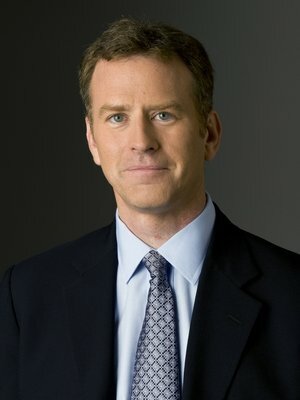 When it comes to writing for radio, where does Morning Edition host Steve Inskeep find inspiration? In great lyrics. The structure of a great song parallels a beautifully written radio story. That was the subject of a talk Steve gave to the staff of Morning Edition. He played examples of songs that get right to the story, tell it concisely, keep a real person in the foreground, and of course, they’re written for the ear. Here are three songs that illustrate this idea. Give “Busted” a listen here. The Takeaway: The story dives right in with an individual story, not a general statement about the facts. It is focused and detailed. And yet this one story has the ability to explain a much larger context. First, listen to “Thunder Road” here. The Takeaway: Description on the radio should be vivid, yet spare. Fewer words are better. And verbs can be more powerful than adjectives. “The screen door slams. Mary’s dress waves. Take a listen to the song (or read the lyrics here). This is a lesson on story structure. “Tom Ames’ Prayer” appears to be about a gunfight, but ends before the gunfight even begins. Here’s Steve’s take on that song and how it’s influenced his approach to story structure. We never enter the woman’s apartment in Steve’s story. It ends with the long climb to it – in much the same way “Tom Ames’ Prayer” ends before the gunfight. Like a great songwriter, use words that put images in our heads. And make sure those images point the way toward the larger, grander themes.